The Essential English Centre in Manchester city centre http://www.essentialenglishcentre.com has created ten jobs, increased student numbers by 60% and is now set to continue to expand into new international markets, thanks to a £25k loan from the £3m North West Fund for Micro Loans and support from Business Finance Solutions (BFS). The North West Fund for Micro Loans www.thenorthwestfund.co.uk, which is managed by BFS and the Merseyside Special Investment Fund (MSIF), has been closely tailored to the investment needs of the region’s businesses. The £3 million Fund provides loans of £25,000 to £50,000 to businesses at all stages, whether they are just starting up or looking to expand. The British Council-accredited independent school delivers a range of English language courses to students of their commercial customers which include foreign consulates, governments and agencies from around the world, arranging packages for foreign students to the UK. It is owned and run by Jo Wilde from Prestwich, Manchester and Bairbre Walsh from County Meath in Ireland. Both have a broad scope of sector-specific expertise, having worked in the public and private education and training sector for many years. Since opening the school in 2012, Jo and Bairbre have created ten posts, including a Doctor of Education who advises on all aspects of academia, with plans to create an additional six jobs over the coming year. The EEC are using the funding to invest in a globally-optimised and responsive website, and to continue to develop its network of commercial partners to secure more contracts and attract their clients to Manchester as a place to learn and visit . To coincide with this, the school has significantly expanded its suite of programmes, to include an Academic Year Programme, 50+ Language Holidays, and tailor-made junior courses throughout the year. Jo said: “Both Bairbre and I are passionate about education and its benefits, and we have worked very hard to build a solid reputation since opening our doors in 2012. As an independent school, our vision is to become a centre of excellence in all senses, while continuing to grow and build a successful business.” Having achieved British Council accreditation, and now with The North West Fund’s support, they are looking forward to implementing their growth strategy. 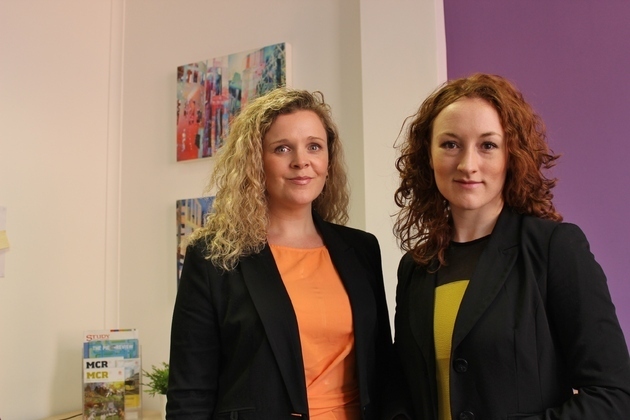 What’s more, with Manchester thriving economically, Jo and Bairbre believe there has never been a better time for international clients to pre-book their students to come to learn in Manchester. Paul Breen, Director of Finance at BFS said: “The Essential English Centre has already established a strong reputation for excellence and is a great example of the type of business that The Fund was designed to support. The North West Fund for Micro Loans is part of The North West Fund, a substantial fund supported by the European Investment Bank and European Regional Development Fund to supply debt and equity funding to growing small and medium-sized enterprises in the North West of England. Business Finance Solutions is a Government-backed, Community Development Finance Institution (CDFI) and a service of The Manchester Growth Company. Established in 2002 it has a strong history in providing technical support and alternative business finance across the North West to Entrepreneurs who wish to start & grow their businesses. As part of the Government’s Solutions for Business Services, BFS has a range of affordable business loans and services delivered on behalf of the Department for Business innovation & Skills (DBIS) by a team of experienced lending professionals. BFS offers finance from 500 with advice on availability of up to 5m. The North West Fund is a substantial evergreen investment fund established to provide debt and equity funding (from £25,000 to £2 million) to small and medium sized enterprises based in, or relocating to, the North West of England. The Fund addresses an identified gap in the lending, venture capital and private equity markets. It is one of the largest public sector funds of its kind in Europe and the largest in the UK. The North West Fund is financed by the European Regional Development Fund (ERDF) and the European Investment Bank (EIB) under the European Commission's Joint European Resources for Micro to Medium Enterprises Initiative – otherwise known as the JEREMIE programme. The North West Fund is the umbrella name for the seven funds that are available to businesses in the form of debt, equity and quasi-equity. These funds are managed by individual fund managers. Each fund manager has a mandate to invest theirallocation into the specific product or sector they manage, by 31st December 2015. The fund managers are under contract with North West Business Finance Limited (NWBF), which is a private, not for profit company, established to oversee the delivery of The North West Fund. The North West Fund has now invested over £118m in more than 360 businesses. Further funding has also been earmarked to support these businesses as they grow and many more new investments are planned throughout 2015. ERDF is making a real difference to people and businesses in the North West. The current ERDF programme, which is worth €755 million, is enhancing the competitiveness of the region’s economy by supporting growth in enterprise and employment. ERDF in the North West is managed by the Department for Communities and Local Government – for further information visit https://www.gov.uk/erdf-programmes-and-resources.